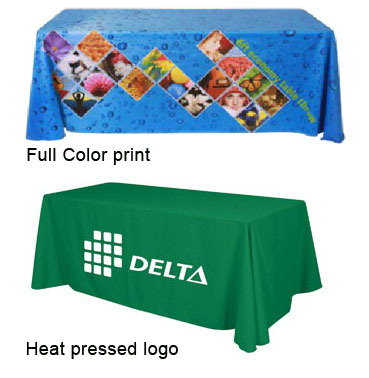 Custom Designed Table Throws for your tradeshow display. We will put your logo on it. 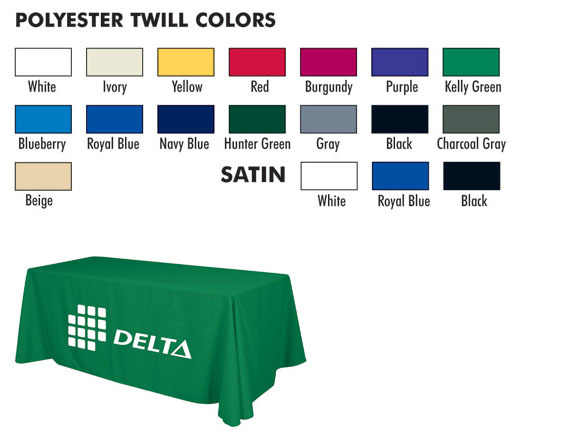 Choose from a wide variety of colors.